As a former Olympic Class we have the responsibility to our members and to keelboat sailors worldwide to prevent keelboat sailing being eliminated from the Olympics. As an International Class the IYA has the right to make submissions to the ISAF Council. Keelboat sailing represents a large part of all sailing. Many of the major sailing events that attracts the superstars of sailing use keelboats. Keelboat sailing allows for a wide range of weight. It is in keelboats that sailing talents stays and grows into stars. Keelboat sailing has a long tradition of mixed sailing but it is our belief that the fastest way of promote and generate women sailing worldwide is by having totally gender equal events. Five plus five.Sailing is an equipment sport and there are many types of equipment. Development is fast, but for now the four distinct types of sailing are; Boards, dinghies, multihulls and keelboats. To represent sailing worldwide all these should be included in the Olympics. Skiffs, foilers and so called high performance are all dinghies and boards also include those propelled by kites. These types of sailing can and should be allow to develop and change over time. Proper trials and evaluation of equipment on the water is an outstanding way of presenting new technology and compare it to existing under real conditions. More factors than performance are important for the Olympics but real tests by real athletes should be a more important factor than a paper presentations. 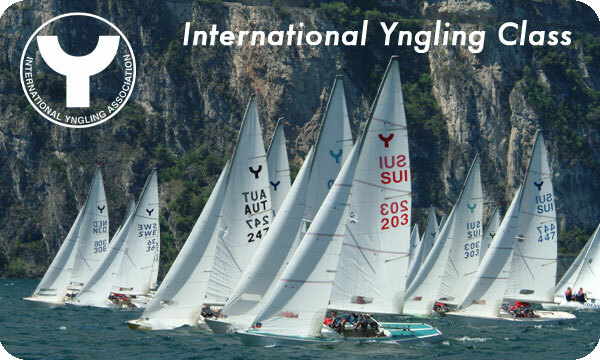 The Yngling is one of the most affordable keelboats that offers true International (intercontinental) racing. A strong class association and five licensed builders on three continents provides a well developed infrastructure. It has proven suitable for high level fleetracing and matchracing and is also established as a large open and youth class.